If you are importing goods from Germany, then you would have very little worries about the quality issues. German exporters not only use the best raw materials and state of art manufacturing lines in their productions, but also possess one of the most educated, financially satisfied work force around the globe. German exporters also are very good at distribution and trade finance operations. Even if you have some sort of technical problems with your product, it will be solved either by technical assistance locally or financially at worst. That is because German exporters produce top quality products with high margins. "Made in Germany" means value against quality. But if you are importing goods from China, you should be worried about the quality of your order. Chinese exporters positioned themselves as the cheapest suppliers of the world. In most cases it is possible to find unbelievable prices from a Chinese manufacturer. However neither product quality nor the after sale services would be satisfactory for you as an importer, if you would not take preventive actions. How to make sure that the quality of goods are in conformity with sales contract when importing from China? There is no way 100% to stop a fraudulent company whatever measures you take, but you can reduce your risks to acceptable levels if you buy an independent 3rd party inspection services when you are importing goods from China. 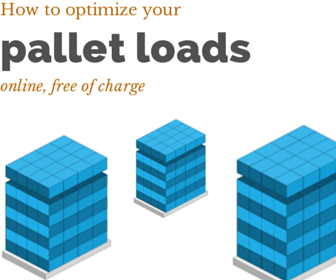 You will be having couple of different inspection alternatives to implement such as Pre-Shipment Inspection, Container Loading Supervision, During Production Inspection and Pre-Production Inspection. In order to get the most benefit from a 3rd party independent inspection, you should select the correct inspection type. Additionally you should be working with the right inspection company. On this page you can find 10 reliable pre-shipment inspection companies, either Chinese or western managed, that you can work with your imports from China. China Certification & Inspection Group (CCIC) is one of the biggest independent third party certification and inspection organization in China, who is dedicated to providing inspection, verification, certification and testing services. Inspection Services: China Certification & Inspection Group (CCIC) provides pre-production inspection, during production inspection, pre-shipment inspection, final random inspection and container loading supervision services to its clients throughout China. 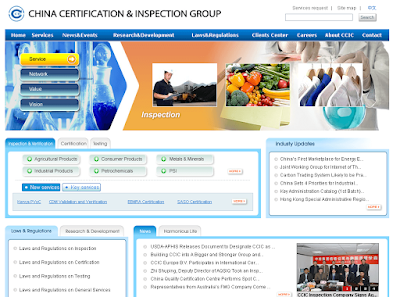 Asia Quality Focus is a western-managed, Asia-based inspection company. They are carrying out audits and inspections in Asia covering following countries: Bangladesh, Cambodia, China, India, Indonesia, Malaysia, Pakistan, Philippines, South Korea, Sri Lanka, Taiwan, Thailand, Turkey, Vietnam. Inspection Services: Asia Quality Focus performs pre-production inspection, first article inspection, during production inspection, pre-shipment inspection, container loading supervision, defect sorting service and production monitoring inspection services. CIS is a Hong Kong based independent inspection company, which offers pre-shipment inspection services in China for importers around the globe. 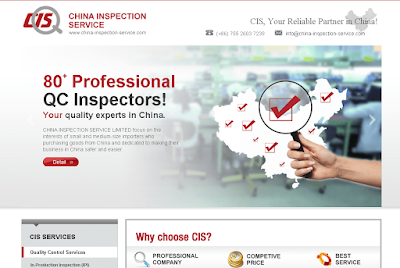 CIS aims to provide reliable 3rd party inspection services to small and medium-size importers who purchasing goods from China. Inspection Services: China Inspection Service Co., Ltd. (CIS) offers in-production inspection (IPI), pre-shipment inspection (PSI) and container loading supervision (CLS) inspection services. 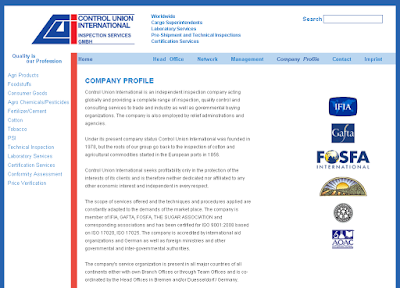 Control Union International is an independent inspection company, whose headquarters are located in Germany. Control Union International provides a complete range of inspection, quality control and consulting services to trade and industry as well as governmental buying organizations. Inspection Services: Control Union International offers pre-shipment inspection (PSI) and technical inspection services in agri products, foodstuffs, consumer goods, agro chemicals, pesticides, fertilizer, cement, cotton and tobacco. 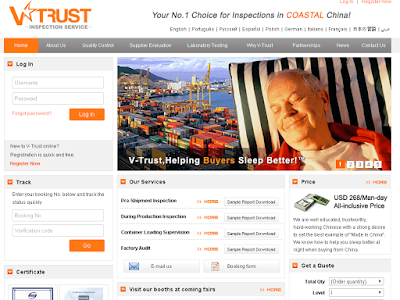 V-Trust Inspection Service is one of the biggest China based and Chinese managed inspection services provider. V-Trust registered in Hong Kong and China since 2003. As an independent third-party inspection company, V-Trust has a sound inspection network covering most coastal areas of China. They have 110+ full time inspectors are well trained, reliable and experienced in inspecting a wide product range. Inspection Services: V-Trust performs during production inspection, pre-shipment inspection, container loading supervision and production monitoring inspection services for electrical goods such as home appliances, light, lighting, electrical tools, electrical vehicles, telephones, mobiles, computer parts, electronic accessories, remote control toys, health and beauty products; soft goods such as fabric, apparel, fashion accessories, home textiles, footwear and leather products, luggage, bags, cases, caps, head wear; hard goods such as household utensils, furniture, furnishings, porcelain, ceramics, toys, gifts, seasonal products, sports products, stationery clocks and watches, jewellery; industrial products such as mechanical equipment, machinery parts, metal sheet, plastic film, tools and equipment, construction products and other products such as chemical material, mineral products, processed grains, bakery goods, cosmetic products, agricultural products. Founded in Switzerland in 1974, Cotecna is a world leader in quality control, providing solutions for buyers wherever they source their products: in China, Asia or the rest of the world. With over 100 offices in more than 60 countries, we offer the resources of a global group with the flexibility and immediateness of a smaller sized company. 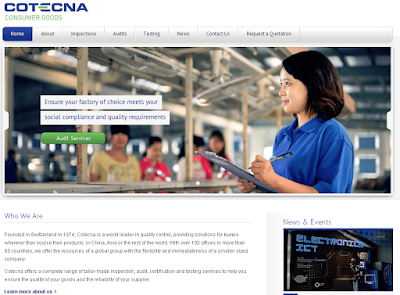 Cotecna offers a complete range of tailor-made inspection, audit, certification and testing services to help you ensure the quality of your goods and the reliability of your supplier. Inspection Services: Cotegna offers initial production inspection, during production inspection, final random inspection and container loading supervision for various kinds of consumer goods. 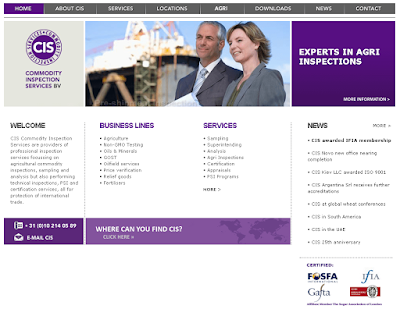 Commodity Inspection Services BV, is a Holland based international independent inspection company, established in 1989 and run by a committed team of experienced executives, offer you a wide range of quality and quantity inspections, technical & consulting services. From its family beginnings in 1872, Commodity Inspection Services BV is now rendering worldwide inspections protecting exporters and importers interests in international trading at both ends, loading and discharge. Still a family owned and managed company, it is continually developing and offering a total service based on commitment and expertise. Inspection Services: Commodity Inspection Services BV offers pre-shipment inspection and technical inspection services. 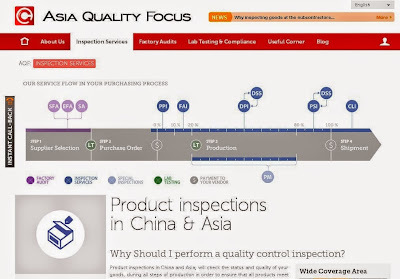 Inspection Services: Bureau Veritas’ Consumer Products Services division offers initial production inspection, during production inspection, final random inspection, loading check and production monitoring services in China. The TÜV Rheinland is a leading provider of technical services worldwide. Since our foundation in 1872, we have been providing safe and sustainable solutions for the challenges arising from the interaction between man, the environment and technology. As an independent, neutral and professional organization, we are committed to working towards a future that can fulfil the needs of both mankind and the environment in the long term. Inspection Services: TÜV Rheinland Greater China offers initial production inspection, during production inspection, final random inspection, loading check and production monitoring services in China. SGS's comprehensive range of world-leading inspection and verification services, such as checking the condition and weight of traded goods at transshipment, help you to control quantity and quality, and meet all relevant regulatory requirements across different regions and markets. Inspection Services: SGS offers wide range of inspection services such as initial production inspection, during production inspection, final random inspection, loading check and production monitoring services in China.